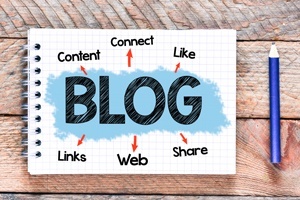 Well in advance of the new school year, conduct an audit of your existing school blog content. Firstly, check that the topics meet the needs of all the key parent groups in your school (new families, existing families, families new to primary/secondary school, and families of boarders). Make a note of any gaps, and that becomes a new blog topic to be written up. • Update any statistics or facts that are referenced. • Add or update images/graphics/videos. • Refresh examples or case studies used. • Add links to blog posts on the same topic. • Add a Call to Action (CTA) button. Tip: Remember to insert that the blog is an updated edition and use the same URL so your SEO is not affected. Check the school calendar for key themes and turn old posts into new content for some ‘special edition’ email newsletters. Relevant themes could include: How to prepare your child for Kindy; Settling into the School Year; How to Help Your Child Prepare for Exams. Look for those topics that are going to have widespread interest. You can post the original blogs as is, or create summary posts with links back to the original articles on your blog. Schools are home to a plethora of professionals and leaders in their relevant fields. Whether it’s educators, school psychologists, student wellbeing specialists, or professional sports teachers and coaches, there are any number of ‘experts’ who can provide insightful and relevant advice and commentary on topics relevant to parents and families. Once again, review your blog posts and identify some central themes that could be expanded in more depth, identify sections that could be bolstered with commentary or research from your ‘experts’ and ask them to contribute additional information. Ebooks do require more effort, but keep in mind that these can be used over and over again, or even printed for school events. Data from a Content Marketing Institute and MarketingProfs study reinforces that the tactics B2B and B2C marketers believe to be critical to their content marketing success are: blogs, email newsletters, social media content, ebooks/white papers and video. You’ve invested significant time and resources into your existing school blog posts, so make it do double duty by refreshing and repurposing it each year.